As we have re-launched TechieZone with a complete overhaul of the design and structure of the site, we are offering our esteemed readers a treat in the form of a giveaway. 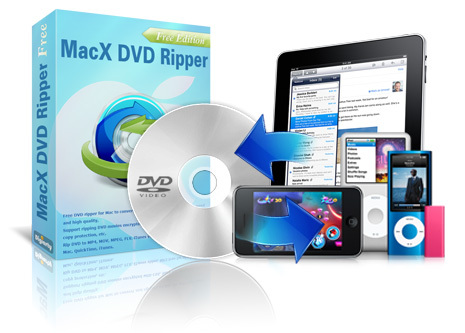 We are offering a couple of licenses of Professional version of MacX DVD ripper for Mac and Windows. The original price of this software is USD 49.95 and now available at a discounted price of USD 34.95. So it’s a nice opportunity to grab a license. 1. Ripping DVD to MP4, H.264, MOV, FLV, MPEG, M4V, AVI, QT(QuickTime) with high quality video/audio. 2. The New DVD-Backup feature let you copy DVD to single video file with original video quality and 5.1-channels AC3/DTS Dolby audio. 3. It can backup/rip copy protected DVDs released by Disney, Paramount, Warner etc..
4. It operates at a much faster speed as compared to any other solutions addressing the same need. 5. Available for both Mac and Windows. 4. Update the details, you did as a comment here. For example, your facebook user name (if you did 1) or twitter user name (if you did 2) or the tweet status URL (if you did 3). 5. Each activity above will give you 1 entry. So more number of activity you do, more is the chances of winning. You can use any/all of the above activity only once per user name. 6. Winners will be selected randomly using random number generator service. The contest will be open till 25th February 2011, afterward any entries posted through comment will not be entertained. Winners will be declared on 27th February 2011. The name of winners will be posted here and will be contacted via email with the license keys. So use correct email ID while commenting here. Please look out for lot of other giveaways like premium WordPress themes, WordPress plugins, Premium software license, web hosting, domain names etc. Thank you Sarah for providing the license.